The engraved Champion Shield is 12.5cm high, has a wood veneer with antique gold effect victory wreath and plate for engraving, and a plastic strut for a stand. It is perfect to use as an individual award or for a competitor to keep once a perpetual award is handed back. 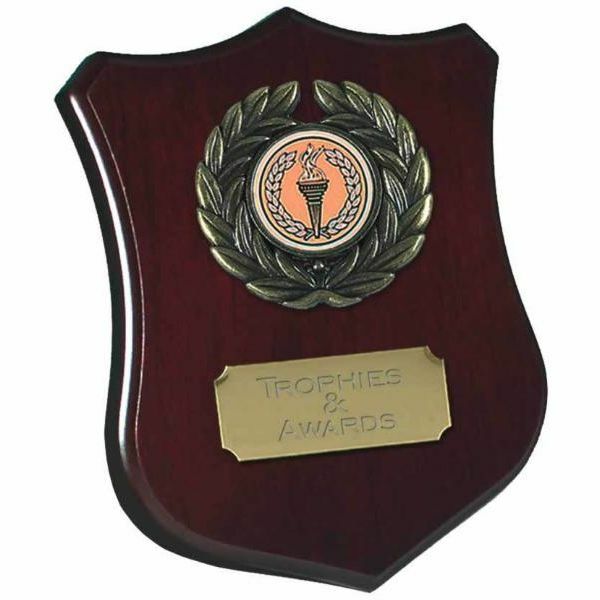 The engraved shield can be personalised with a centre for your sport or event. Up to 50 letters engraving on the shield is included in the price, and additional letters are charged at 15p/letter. The engraved Champion Shield is postage band B.